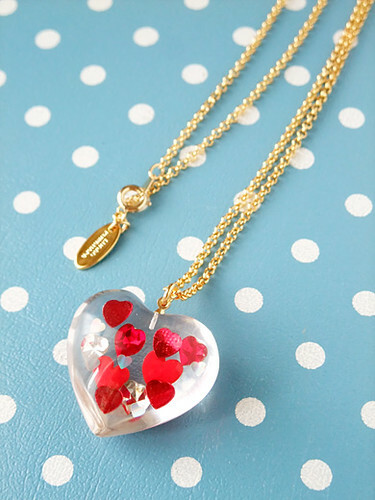 A lot of different hearts in clear heart acrylic resin. 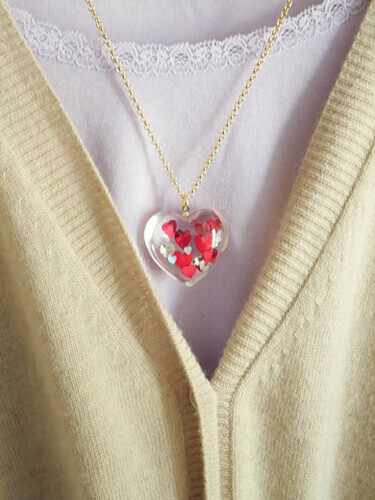 Cute necklace (pendant) from sunaokuwahara. It brings me happy vibes!